"This has a been a hit every time I have served it. 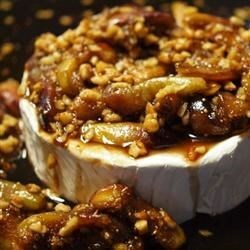 Is a great appetizer for the holidays or when figs are in season." This recipe sounded so good, but was entirely too sweet! My guests would not eat it - several of them. I was disappointed as I was really looking forward to a great recipe using fresh figs.